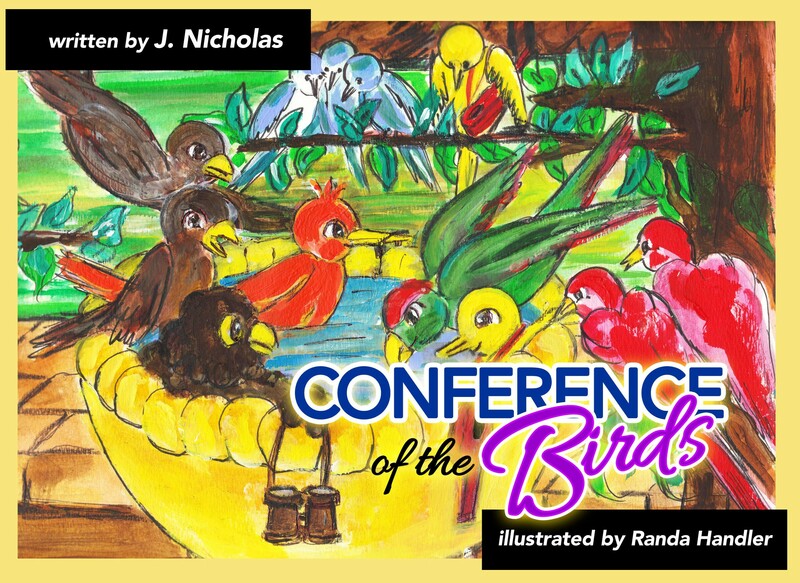 Ravencrest Publishing releases #childrensbook "Conference of the Birds" New Book by J Nicholas adds kid-friendly twist on a classic old tale! (PRLEAP.COM) Los Angeles, CA - May 14, 2015 - Did you hear the busy chatter of the birds? What's the commotion about? Unhappy with who they are, five unlikely friends-a raven, a canary, an owl, a parrot, and a homing pigeon-embark on a long treacherous journey. Discover with them how they find strength in togetherness, gain a better appreciation of their own unique talents and a new sense of self-worth. Is there a more timely topic? "Each bird from the owl to the canary to the homing pigeon have a trait or a skill that they are not as fond of. It takes a journey to discover how that part of them that seems flawed is actually useful or wonderful. My six-year old enjoyed the vibrant illustration colors and the theme of the story. It allowed us a moment to reflect on our own gifts and the gifts of those in our family." Posts educator Rachel Horon. Illustrator Randa Handler is an international journalist, publicist and publisher. See all of Randa Handler's #ChildrensBooks on Amazon and Barnes and Noble.